White Rainbow Project is transforming lives of widows in Vrindavan, India by sharing hope and helping them develop skills in making handmade products. Vrindavan, an ancient holy city known as the City of Widows is home to more than 20,000 destitute women who have been outcast after their husband’s death. Many are stripped of all color and allowed to only wear white. Their hair is shaved and they are told to give up all adornment such as jewelry or makeup. They are expected to give up spicy food and sweets. Worst of all, many are abandoned and shunned by their families because it is believed it was the woman’s bad karma that caused the death of her husband. Having been shunned and abandoned by everyone they loved, widows have little choice but to pilgrimage to the holy city to beg at the temples in the city of Vrindavan. Once there, most of these women are forced to beg for scraps of food and to scratch out a subsistence on the street. Many are robbed of their pensions, sexually exploited, and physically brutalized. In the midst of this, the White Rainbow Project shines hope in the darkest of places. By providing vocational training, food, and medical care, the White Rainbow Project is able to bring life and hope in the most desperate of places. 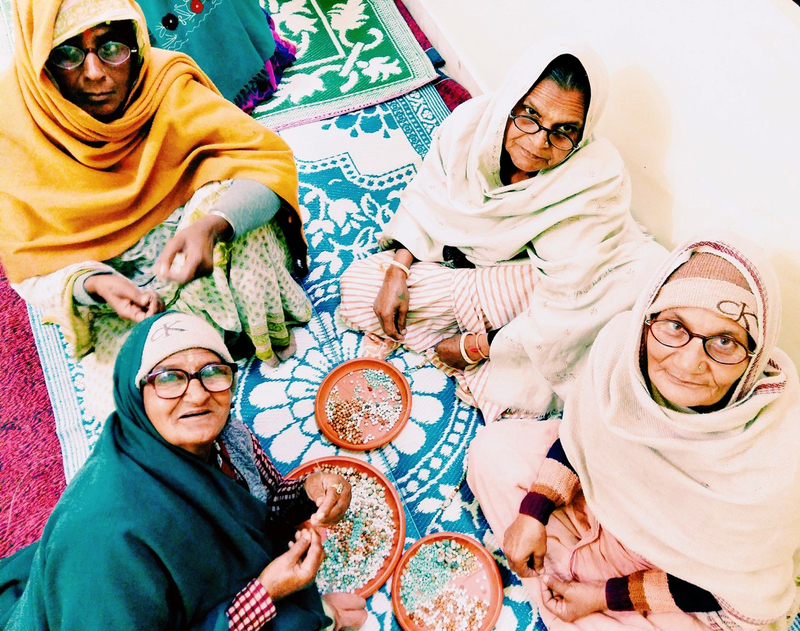 The White Rainbow Project is recycling hope for these widows by helping them create beautiful handmade products out of donated saris and old magazines. Recycling takes on a whole new meaning, as this is one of the only options widows have to support themselves. Since they have been deemed bad karma and are blamed for the death of their husband, they are shunned, exploited, and denied any sense of dignity. 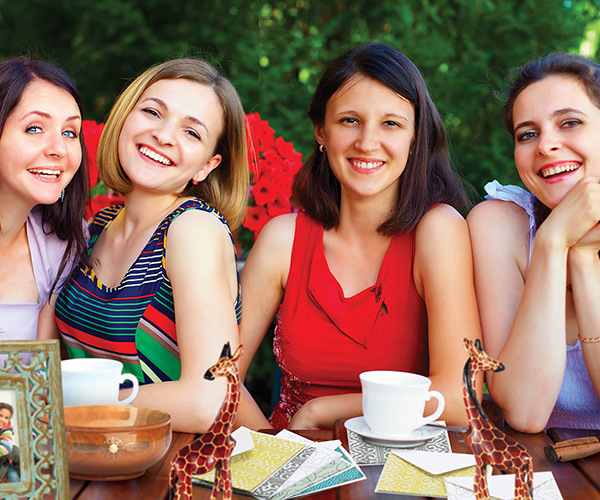 Earning their own money gives them freedom to choose their own destiny, many for the first time in their life. The White Rainbow Project is committed to not only bring physical hope and care to the widows of Vrindavan but also emotional and spiritual support by demonstrating love in many tangible ways. 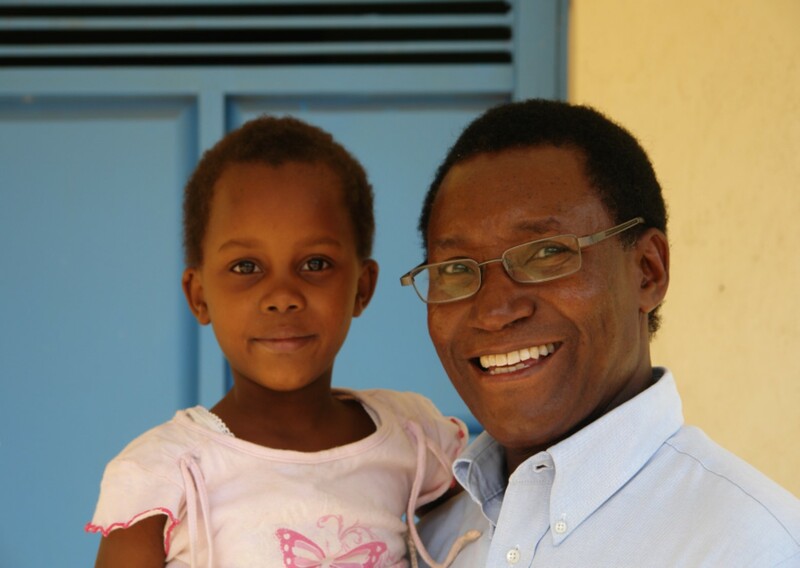 They are driven by the call to seek justice, care for widows and orphans, and defend the oppressed. 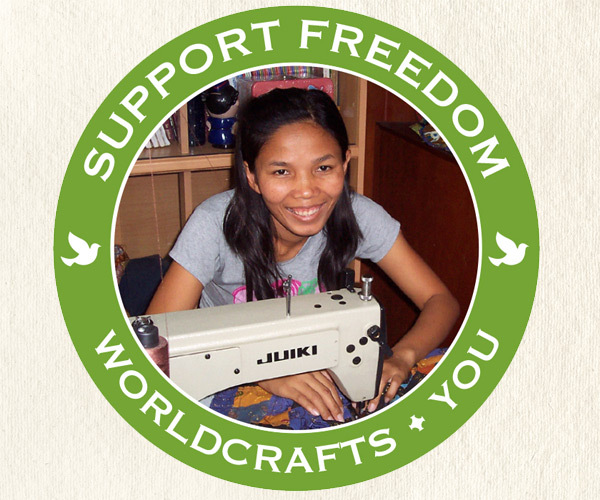 Support the women of White Rainbow Project by purchasing their handmade products.